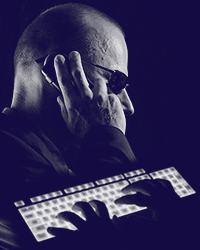 The Drug Enforcement Administration is warning the public including the DEA registrant community to include practitioners and pharmacies about criminals posing as DEA Special Agents, DEA Investigators or other law enforcement personnel as part of an international extortion scheme. The criminals call the victims (who in most cases previously purchased drugs over the internet or by telephone) and identify themselves as DEA agents or law enforcement officials from other agencies. The impersonators inform their victims that purchasing drugs over the internet or by telephone is illegal, and that enforcement action will be taken against them unless they pay a fine. In most cases, the impersonators instruct their victims to pay the “fine” via wire transfer to a designated location, usually overseas. If victims refuse to send money, the impersonators often threaten to arrest them or search their property. Some victims who purchased their drugs using a credit card also reported fraudulent use of their credit cards. Another scheme involves criminals contacting doctors and pharmacists and stating that they are the subject of an investigation and demanding money to clear up the matter. Thursday, November 29th and Tuesday, December 4th. Sessions are tentatively scheduled from 9AM to 12Noon and from 1PM to 4PM. The tentative location is Mercer County Community College. NJ Department of Health announces training for registered surgical practices to navigate the licensing process to become an ambulatory surgical center. Chose from among 4 time slots for the 2-hour session. You’re invited to an InfraGard webinar, “The ‘Model Clinic” security approach for small healthcare organizations,” hosted by the Cyber Health Working Group on Thurs., Aug. 31, from 1-2:30p Eastern. Here’s what the webinar will cover: HIPAA-HITECH and other Privacy regulations impose many important security and compliance requirements on US healthcare organizations, large and small. Small and medium-sized healthcare organizations, private practitioners, and non-profit clinics often struggle to comply with all of these. Using a “Model Clinic” approach that integrates security into operational support plans can help to minimize cost impacts and keep the focus on true protection and compliance. This presentation will cover key points of this approach and include a real life case example of success in using the approach in a clinic environment. Our speaker is Anne Rogers, principal consultant at PMTech-Pro and CIO for El Centro de Corazon, a federally qualified health center in Houston. This webinar is hosted by the Cyber Health Working Group, a national InfraGard special interest group for IT professionals in the health sector which is facilitated by the National Capital Region chapter of InfraGard. The webinar is open to all InfraGard members and to any colleagues of yours whom you’d wish to invite, whether they are InfraGard members or not. To register, go to https://chwg.eventbrite.com. Registration is limited to 1,000 participants. Connection details will be sent to registrants via email from EventBrite. If you can’t join us live, you’ll be able to access a recording of the webinar via the InfraGard portal. Questions? Email the InfraGard NCR coordinators at infragardncr@fbi.gov. We hope you can join us! Participants will explore the role and responsibilities of the Infection Control Professional to comply with accreditation standards and regulatory authorities. Participants will examine internal and external reporting methods and requirements via the National Health and Safety Network (NHSN). The annual deadline for ASCs to submit ASC-8: Influenza Vaccination Coverage among Healthcare Personnel data has been extended to August 15, 2015 from the original date of May 15, 2015. ASCs now have until August 15, 2015 to report their healthcare worker influenza vaccination summary data for the 2014/2015 flu season (October 1, 2014 to March 31, 2015). These data are to be reported to the National Healthcare Safety Network (NHSN) as a requirement of CMS’ ASC Quality Reporting (ASCQR). To submit these data, ASCs must enroll in NHSN a minimumof 8 weeks before the new data submission deadline of August 15, 2015. If your ASC has not yet begun the enrollment process, it is important to do so immediately, as a further delay could cause you to not be enrolled in time to complete your facility’s healthcare worker influenza vaccination reporting by the deadline. This extension is to ensure that ASCs have the maximum time possible to meet this important quality reporting requirement during this initial implementation year. The Centers for Disease Control and Prevention outlines the NHSN enrollment process in their 5-Step Enrollment for Ambulatory Surgery Center Facilities, http://www.cdc.gov/nhsn/PDFs/ACS/ASC-EnrollmentChecklist.pdf, and provides tools and resources. For ASCs needing assistance with locating their CMS Certification Number (CCN), a Look-Up tool is available from the ASCQR Program Support Contractor. To aid ASCs in the NHSN enrollment process, an educational session with CDC is planned; additional information regarding this session will be available in the near future. For any other questions related to NHSN enrollment or reporting, please contact the NHSN Helpdesk at NHSN@cdc.gov. John Karwoski, President and Founder of JDJ Consulting, discusses the importance of preparation for a Malignant Hyperthermia (MH) crisis. This video demonstrates the mixing of Dantrium or Revolto (dantrolene sodium) with sterile water for treatment of MH. We did our first regional event at Hackensack Hospital back in October, which was a great success and was covered on NJTV. DOH NJ Need to Know!! New Info! How do you convince ACCs that they need to develop an infection prevention plan? Dr. McCaulley: It’s education and awareness on the part of the administrative staff and those involved in infection control, having them do some “what ifs?” They should read and understand what is in the guidelines, and have a discussion among the decision-makers of the ACC about how their facility could be affected and what they need to be able to respond. They should use the guidelines to develop their own protocols for how they will manage different types of disasters.